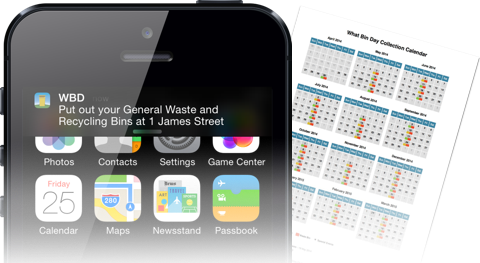 What Bin Day is the simplest way for residents to get waste collection information from their councils. 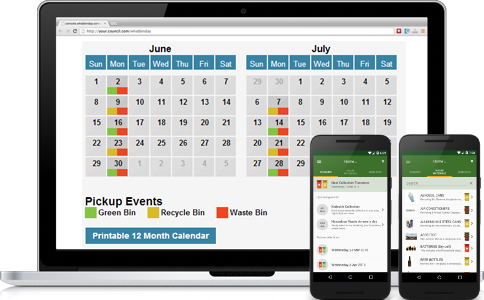 We offer mobile apps to residents and waste education technology for councils. Help us direct you to the right information by selecting the option that is appropriate to you. Better than having the calendar on the fridge and it sends the notification to my phone the day before. I put the bin/s out as soon as I get the reminder. Easy and simple. 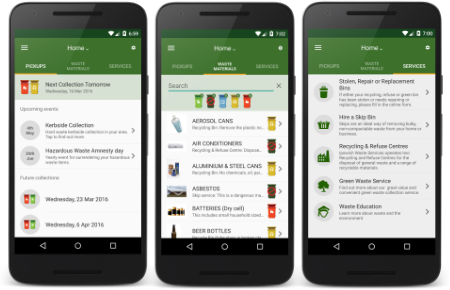 Detailed information about what to dispose and where. Fantastic - Lovin it. I've forgotten to put the bins out too many times. Also good for settling debates over what goes in which bin.